Home Business Buying your first apartment in Dubai? Dubai’s buoyant economy and growing population means it’s a popular location for people looking to invest in property. The process is relatively simple, but if you’re thinking about buying your first apartment in the city then it can seem quite a daunting experience. So, here is a basic guide to property investment in Dubai. There are two types of sales in Dubai, private sales and off-plan sales. This is when you buy an existing property that’s for resale, and the terms of the deal will be outlined in a Memorandum of Understanding (MoU). Once you’ve made a formal offer, a deposit is required and then the deeds will be transferred once the balance has been paid. Although non-nationals can buy freeholds in most parts of Dubai, there are some areas where they will not be allowed to purchase property. So, check where you’re entitled to buy before you begin to create a shortlist of flats. Buying off-plan, before a flat is actually built, is common in Dubai. You will need to provide your passport and submit a reservation form that outlines the terms of the sale, then pay a reservation fee in order for a binding Sales and Purchase Agreement (SPA) to be drawn up. Once the agreement is signed, a deposit is paid and the balance is settled by staggered payments during construction. It’s vital that you ensure a property completion date is stated in your SPA, along with the amount of compensation to be paid if the property is not ready on time. Do you want to live in the flat, or rent it out? How your new property will be used is a question you need to ask before you even start looking at listings. If you want to live in the flat yourself then think about the type of areas you like and the amenities you want to have close by. If you intend to rent out the flat, consider the rental market and focus on what will give you the highest return on your investment. Before you enter into an agreement for an off-plan purchase, check Dubai’s list of registered developers to make sure you’re dealing with a legitimate firm. You should also make enquiries about the developer’s reputation – do they deliver what’s promised on time, or has there been a wealth of complaints from previous investors? For private sales, check Dubai’s list of registered estate agents and again, find out what sort of reputation the business has. Hiring a registered surveyor to evaluate the property is another must. Also, be aware that in order to ensure your flat is free from debt or liability, you will need to obtain a no objection certificate (N.O.C) from the seller. Although there’s no obligation to use a lawyer when buying property in Dubai, it’s in your own best interests to call in an expert who is working solely on your behalf. The Dubai land department holds a list of registered conveyancing firms that will be able to help protect you from financial risk. Your budget doesn’t just need to cover the sale price, there will be a variety of other fees and expenses you’ll need to pay in order to secure a flat in Dubai. These amounts can add up to a significant sum and should be taken into account when you decide how much you can spend on a property. 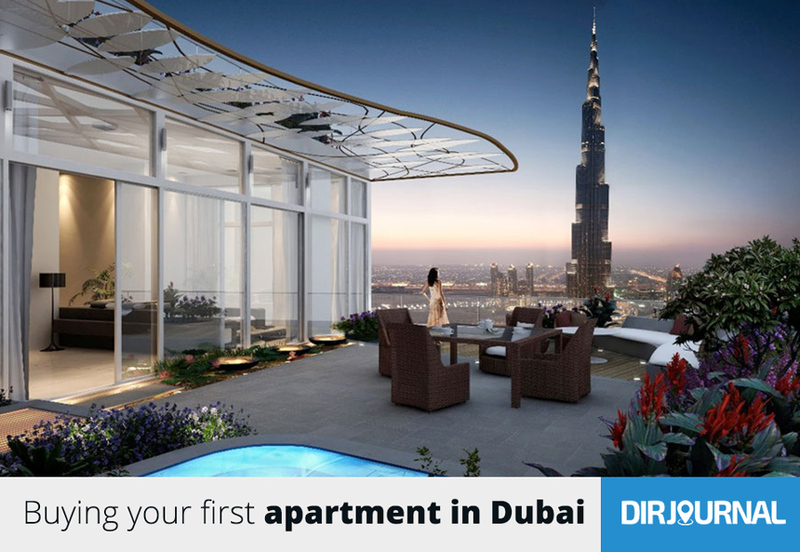 Another good idea might be to look for a studio for rent in Dubai while you view flats, or work through the sale.